In a stark contrast to Calgary’s housing market drop-off, two key cities in a western province reported strong sales during the month of March. 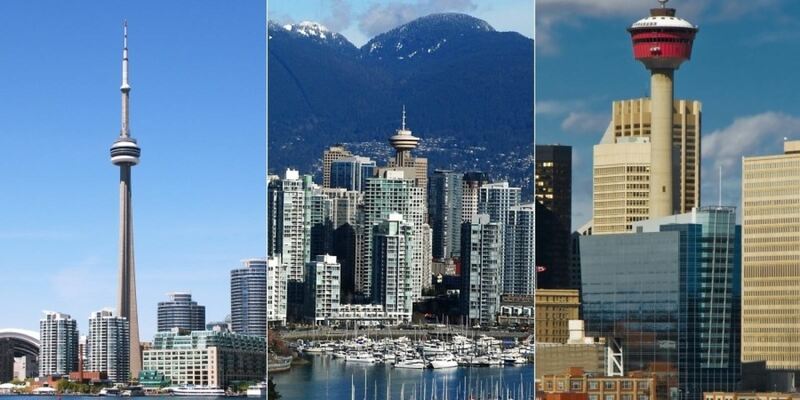 Vancouver, which is one of the most expensive and active markets in Canada, posted a massive 53.5 per cent increase in year-over-year sales last month, as the Home Price Index composite benchmark hiked 7.2 per cent to $660,700. The benchmark price for a detached property, however, was up 11.2 per cent to $1.05 million. In Victoria, meanwhile, sales were up 21.6 per cent, year on year, as the capital city continues to scoop up buyers who have been priced out of Vancouver. The benchmark price there increased just less than two per cent to $569,700. Compared to February, March sales were up 32.6 per cent in Vancouver and up 35.7 per cent in Victoria. Listings in Vancouver also increased, rising 13.1 per cent from the same period last year, while listings fell 6.9 per cent in Victoria compared to the same time period. A news story this week blandly described the perverse reality that is the current state of the Canadian economy. The headline read "Corporate profit margins at 27-year high and likely to stay there." Pretty heady stuff if you took it out of context. But the context is everything: pathetic growth projections, record high personal debt, stagnating wages, hundreds of billions in idle corporate cash, a multi-billion-dollar infrastructure deficit, a growing real estate bubble and a Bank of Canada chief who has no idea how to fix things. And, of course, a prime minister who thinks fixing things is heretical.